Display your watches in style with this faux leather display case. 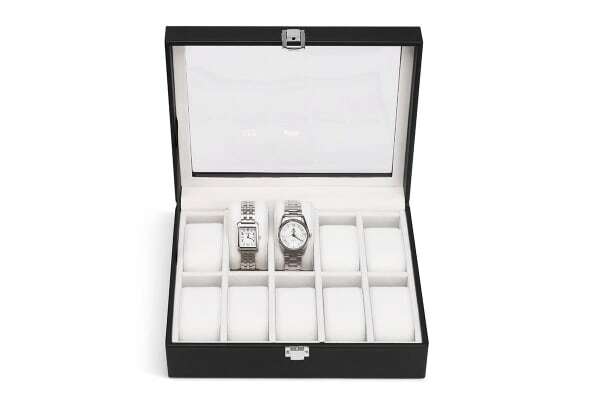 Display up to ten of your favourite watches in the stylish Ovela Display Case. 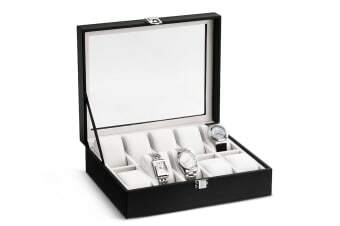 Boasting soft, removable pillows and a smooth velvet lining, your watches will remain scratch free. 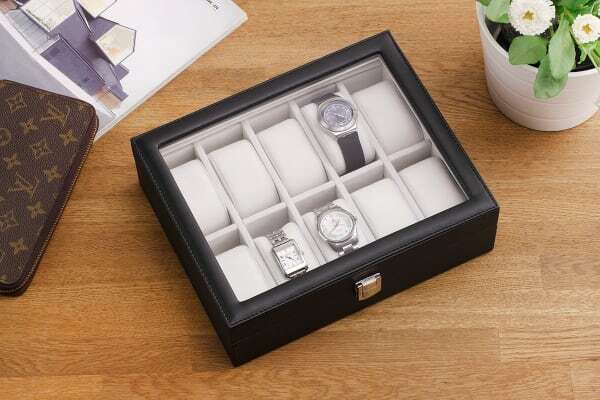 Have your watches on full display while also keeping them free from dust, thanks to the transparent lid.